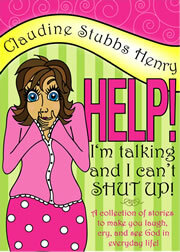 With humor and warmth, Claudine Stubbs Henry weaves modern day parables from ordinary, everyday life experiences. The book will have you laughing one moment then reaching for a tissue, the next. In her matchless style Henry pulls readers into her daily world, then, “Wham!” hits them with a truth they didn’t see coming—a special message from God. Help! I’m Talking and I Can’t Shut Up will give your heart the infusion of hope and the shot of infectious joy it has been craving. "Claudine Henry is one of the most energetic, joyful, faith-filled followers of Christ I know. This lady communicates stories of God’s faithfulness with great passion. Sometimes you laugh so hard you hurt, and then you find the tears flowing. I am pleased others will be blessed by her ministry." Dr. Mel McCullough, President, The Church of the Nazarene Foundation. Claudine's favorite Life Verse is featured on Febrary 16th. Is there a verse from the Bible that has special significance to you? Maybe it’s one piece of Scripture God used to inspire, challenge, or rescue you at a turning point in your life. Maybe it’s a verse you learned as a child from a grandparent. Or one you recite each morning to begin your day. The One Year Life Verse Devotional contains stories of well-known authors and speakers, athletes and entertainers. Uncover how these key verses helped define people’s role in God’s plan--whether they are Bible characters or ordinary people. Discover God’s revelations to his people through Scripture, including your very own life verse. 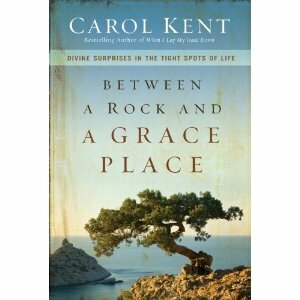 Two of Claudine's stories from the “Great Depression” are featured in a new book from bestselling author Carol Kent - release date, September 28, 2010.